It’s a phrase I hear more and more these days – because, frankly, we do a much broader range of stuff compared with a few years ago. 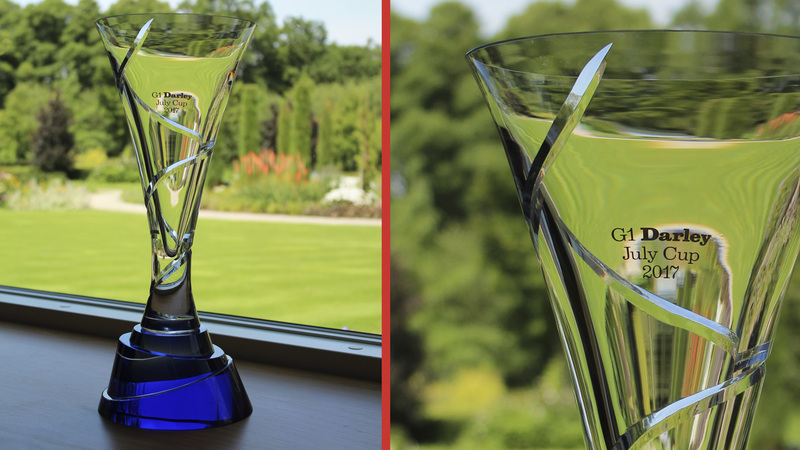 I was reminded of this last week when I admired the beautiful glass trophy that Debbie Barker, one of our senior designers, created for our client Darley to present to the winner of the prestigious July Cup race at Newmarket. Concepts, designs, materials… all reflect the Darley brand values and all were conceived by Debbie and others in our team. They worked closely with the talented glassblowers at Langham Glass to create a trophy that millions of TV viewers and racegoers admired as it took pride of place during the presentation ceremony. So trophy design is something else to add to the ever-lengthening list of services offered by CPL. A few others have emerged as new offerings in recent years. Some you’ll have heard of, including video, animations, pay-per-click, SEO and brand strategy. Others may be less familiar – not least my new favourite, ‘vimages’, used to describe hybrid graphics-led film/slideshows. We are finding they are an increasingly relevant and useful storytelling technique, including these examples for our clients SNC Lavalin and Arthritis Care. I never knew what to call them so I’m glad The Economist has now coined this new term – while apologising for the horribleness of the jargon. So how do we describe what we do at CPL? Whether it’s the services mentioned above – or all the other things we do, including magazines, adverts, web copy, digital marketing, infographics etc, etc – we wrap it all up in a single word, ‘content’. That in itself has its limitations, as Sticky Content’s Dan Brotzel points out in this excellent blog. But, at least for now, we’re happy to use the word as a catch-all to describe the outputs of our in-house team of 50, plus plenty of freelancers. And anyway, ‘what we do’ should be only partly defined by the outputs of our team. Along with colleagues at CPL, and plenty of clients and stakeholders, I’ve been thinking about this a lot in recent months. It has been an important part of the process of updating CPL’s rolling three-year vision, values and strategy document that we call – not particularly imaginatively – Our Story. In defining the ‘why’, we’ve hit upon the truth that pretty much everything we do at CPL binds people together, making them feel a part of something. In short, ‘we help people belong’. To get the even longer answer to what we do, you’ll have to look at the list of services on the CPL website. Trophy design is not yet down as a core CPL service… but, who knows, maybe that will change in the future!